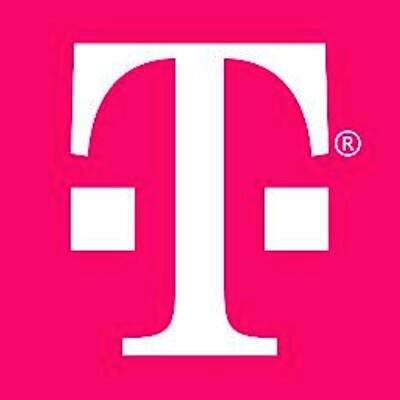 Update 6/24: In a statement to Tmonews, T-Mobile has confirmed that it has a system in place that allows users (and UpgradeSwap) to check the IMEI to verify whether or not the device is being financed. You can find that tool here. 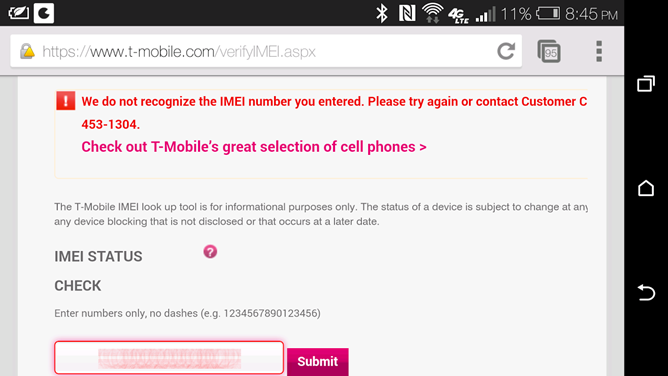 If a customer wants to purchase a T-Mobile phone and is checking the IMEI number, they should be using our tool for the correct information. Update 2 6/24: In this ever-increasing back-and-forth battle, UpgradeSwap has now responded with a claim that T-Mo's own system doesn't even work correctly half the time. They even provided us with a screenshot of the system showing an invalid IMEI error on a T-Mobile Galaxy S4. When will the madness end? Sites that buy used phones and turn them around for a profit are found all over the internet these days, because there's clearly money to be made in the mobile market. One such site, UpgradeSwap, however, is going to stop buying used T-Mobile phones. There are some pretty questionable decisions being made by T-Mo, so anyone interested in picking up a used Magenta handset should also be aware of what's going on. Here's how it all works: when a site like UpgradeSwap buys a phone, they check the IMEI with the carrier to make sure it's not listed as lost or stolen and is good to be sold. Usually, that's the end of the story. With T-Mobile, however, there's an issue because of the company's JUMP plan: people are selling phones that are still being financed, then not paying for them after that. Since the payment plan is registered to the phone itself, T-Mobile essentially blacklists the device, leaving the unsuspecting owner of the purchased phone without the ability to use the handset they paid for. All because there are folks in this world who want to play dirty and try to "screw the system." According to UpgradeSwap's blog post on the matter, AT&T, Verizon, and Sprint all have systems in place to keep this from happening on their respective networks. Thus, UpgradeSwap will continue to purchase those devices (and it's probably OK for you to do the same, as long as you check the IMEI beforehand). If you're considering picking up a used T-Mobile phone at this point, you may want to reconsider that move. Hopefully T-Mo will fix its seemingly broken system to prevent this sort of fraudulent behavior in the future. Update: It looks like Swappa's free IMEI checker lets users see if a T-Mobile phone is being financed or not. I'm not sure what's going on with UpgradeSwap's system, but they may want to look into what Swappa's using. It looks like Swappa's system can be somewhat unreliable, at least according to the comments on this post. I'm not sure I'd even trust it at this point.